A while back I started posting some contractor related articles.The articles were mainly for the those people that wanted to start their own business and work for themselves as a contractor. I work in the IT sector through my own company with several clients both based in the UK and across the pond in the US. I have been running my company and working for myself for almost five years now and I even through one of the most difficult economic times in modern history I have thoroughly enjoyed it and I wouldn’t change anything that has happened thus far. A while back I started a new section of gethynellis.com that I intended to have a focus on contracting and also some career based themes. At the time I thought it would useful to split up the SQL Server content that usually gets published on gethynellis.com from the contractor/career type posts. This week for a number of reasons I have decided that was not such a good idea. My reasons for splitting at the time were simple, the two people who read my blog (My wife Lisa and my Mum, Thanks Both!) are expecting the content to be SQL Server related and I didn’t want to mix the two. It turns out that I don’t post that often to the contracting blog and I don’t write the career contracting posts frequently enough to warrant splitting out the content into a blog of its own. I have crossed posted some of those posts and they have been quote well received on the main SQL Server blog. So I will be removing the Contractor/Career blog and from now on all my posts, whatever the subject will here. So as its December and a New Year is just around the corner I have decided that the blog needs a bit of tidy up and spring clean. Over the next few weeks you will be seeing some small changes occur in the look and feel. Not a major changes but some old things will be removed like the contracting and section and some new things added I will hopefully have more posts and articles from both Ian and David. I do have a couple outstanding that I need to publish. There will be more SQL Server content, with the release of SQL Server 2012 due by the end of June next year hopefully we will have lots of posts showing off the new features. So when will we get an RTM version of SQL Server 2012? Here are my thoughts SQL BITS which is scheduled for the end of March 2012 is the official launch and I believe the March/April SQL Connections in Las Vegas is also a launch event. Even though the launch is planned for the spring and we recently got RC0 (Release Candidate 0), the official line at the PASS keynotes was the first half of 2012. 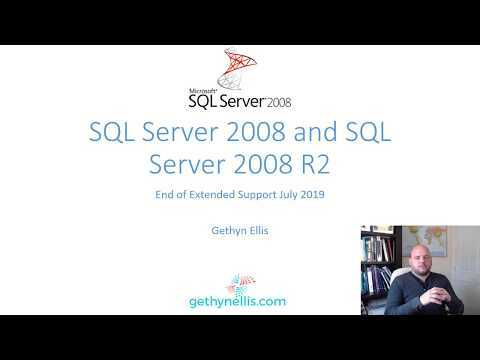 The launch events of SQL Server 2008 were before the RTM date too . This means it could be as late as June. In fact Teched is due to start June 25th if I was a betting man that would be the date I would pick.